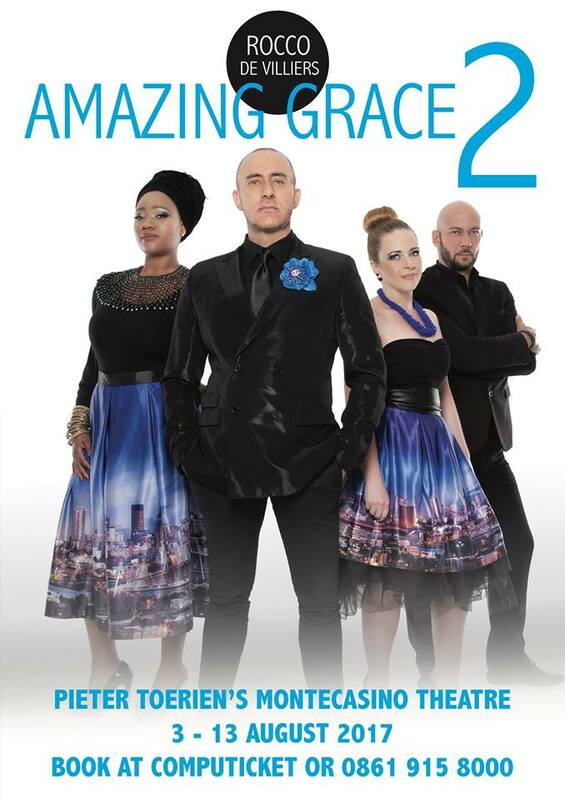 Following the success of Amazing Grace in April 2016 at Montecasino and Dec 2016 at Theatre on the Bay, popular pianist Rocco de Villiers is back with the sequel – Amazing Grace 2. This show is a follow-up, not only of his previous show but also inspired by a brand new BEAUTIFUL BEAUTIFUL HYMNS 2. The first album reached gold status and left audiences wanting more sacred music in Rocco – style. AMAZING GRACE 2 includes classic melodies like “What a friend we have in Jesus”, “Little Drummer Boy”, “Hallelujah”, “Amen”, “When the saints go marching in”, “Down by the Riverside” and “Pie Jesu” just to mention a few. Rocco and his piano, organ, violin, bagpipes, guitar and a gospel singer will perform these treasured tunes. Season Runs for 13 performances only. Seniors and Students pay only R120. Available from outlets only. Theatrics Club members pay only R90 Find out more/Join here!